I'm giving away some nice back to school goodies for one lucky follower! You can enter here on on my Facebook, Twitter or Instagram, or all four if you like! 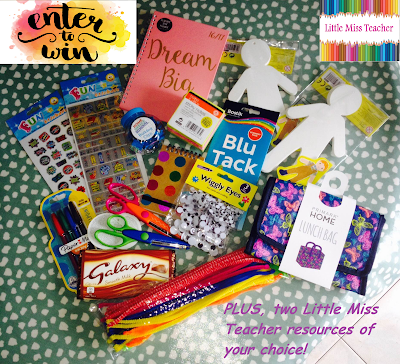 As well as all these lovely goodies, you will get two choose ** two free downloads** from any of my resources on my Mash store!